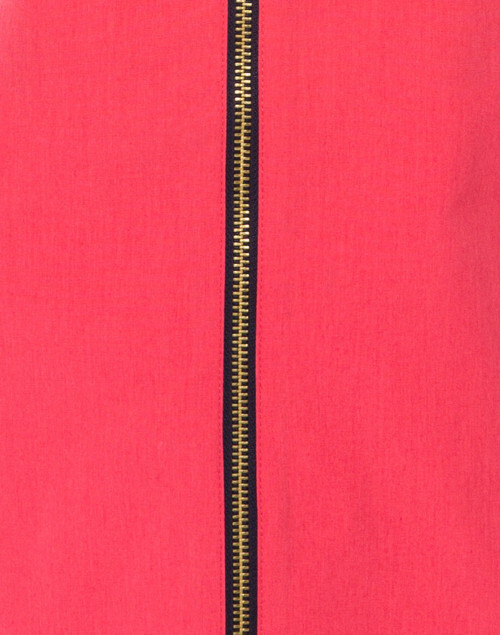 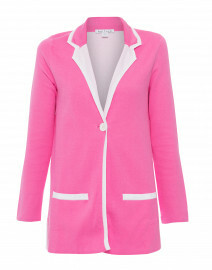 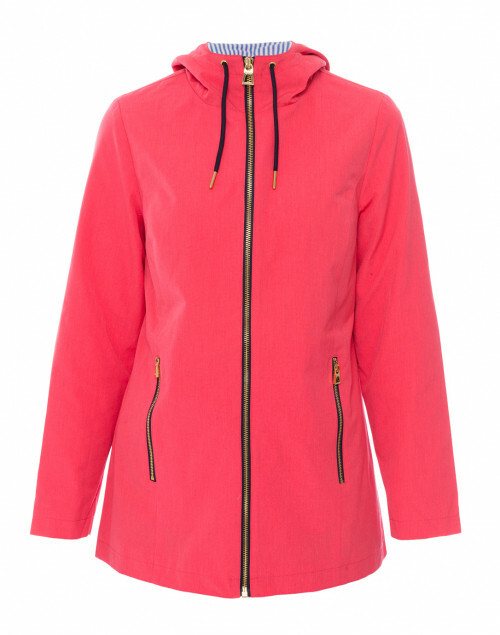 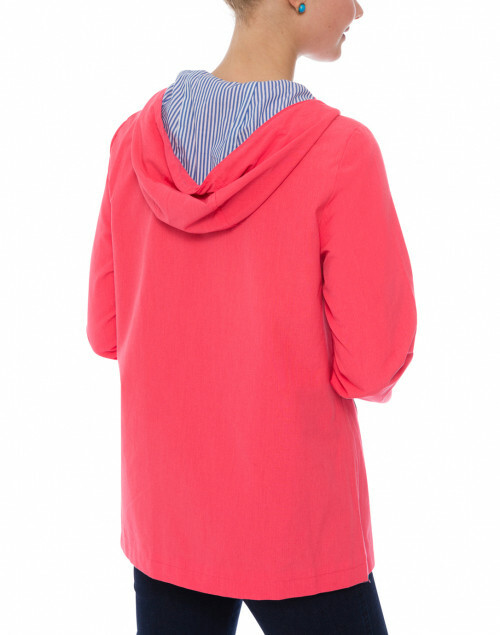 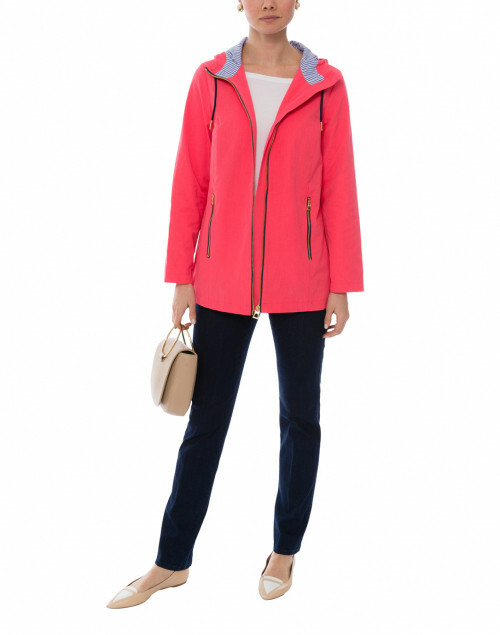 Brighten up rainy days with this hot pink Sail to Sable's raincoat. 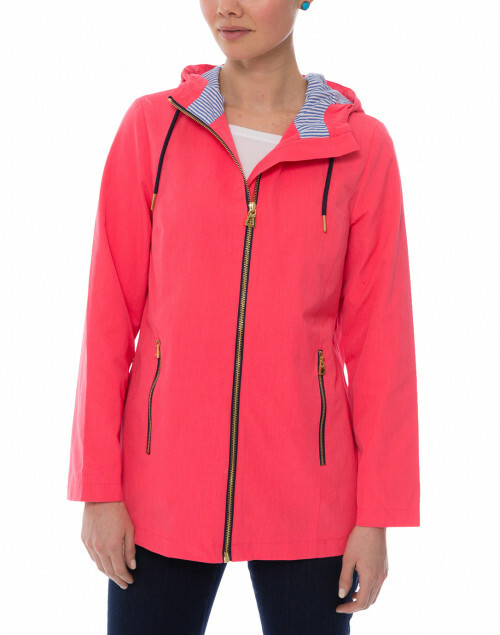 This hooded raincoat is preppy and practical with water repellent, breathable fabric and features contrasting gold zippers, a whimsical striped lining. It's easily packable in case of a summer shower. 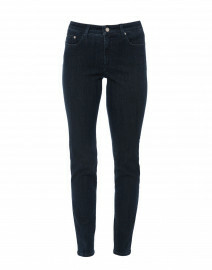 Pair it with slim jeans and a white tee for a polished city look. Length 26.75" 27.5" 28.25" 28.5" 28.75"
Shoulder Width 14.5" 15.5" 16" 16.5" 17.25"
Bust 37" 39" 41" 43.5" 46"
Waist 38" 40" 42" 43.5" 46"
Hip 41.5" 42" 45.5" 48" 50.5"
Sleeve Length 23.25" 23.5" 23.75" 24" 24.25"